Let’s be honest- the best possible Christmas gift for the Dodge fanatic or car enthusiast in your life is probably a 2015 Dodge Challenger, Charger, or maybe even a Dart. This month at Melloy Dodge we’ve got incredible end-of-year discounts on all of our most popular models. If you want to put a RAM truck under the tree for your loved one this year- you can take $12,000 off our 2014 models, and there’s plenty more savings to be had on our lot on Coors NW. But, if a new car isn’t on your shopping list, you can still make your car fanatic friend’s eyes go wide with excitement on Christmas morning with a carefully chosen car accessory. 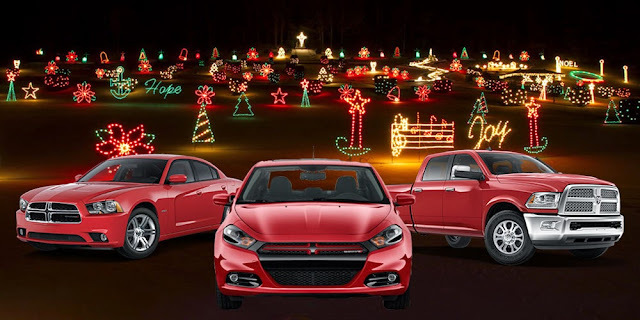 These are the items we think go best with any Dodge model this holiday season! A Bluetooth car kit is a great gift for anyone with a classic Dodge model that they can’t stand the thought of altering too much. Now, the modern convenience of Bluetooth is available as a small, manageable device that doesn’t require any modifications to your vehicle. Wirelessly stream music through your car’s speaker’s via auxiliary inputs, or send and receive hands free audio calls with these awesome devices. For the studious Dodge or RAM devotee in your life, a book might just make the perfect, inexpensive gift. Country Driving: A Chinese Road Trip investigates the fastest growing car culture in the world. See if you can keep pace with The New Yorker writer Peter Hessler’s pitch-perfect prose as he leads the reader at breathtaking speeds down twisting dirt roads in China. Is your car lover also a fashionista? Dodge Life has a whole line of Dodge branded and approved wearable merchandise from polo tees and hoodies to key chains and coolers that fit perfectly in the backseat of your Durango. Everyone on your shopping list will look fantastic in a piece of iconic Dodge swag, so stock up! Of course, for a gift that will keep giving for years to come, invest in a rock solid Dodge model from Melloy Dodge! Now is the perfect time to buy, with closeout pricing on 2014 models, insane deals on RAM 1500s, cash back offers, and low financing options. Stop in at our showroom on Coors Boulevard NW and get your shopping done early!